“No, it’s not always unicorns and rainbows” writes Chuck Winn in the Masters Class reflection below. While editing this newsletter, I found myself nodding along to every single word he wrote. Every thoughtfully crafted sentence punctuated with my own passionate “Yes, same here”. Leadership is hard work. Constant learning and self-growth are critical to developing the leader in each of us. More often than not, we are the ones standing in our own way and we just have to move even a little to get unstuck. Often simply reframing the story we’re telling ourselves creates enough forward motion to do the trick. Of course, we need people willing to dig in with us to do that hard work. 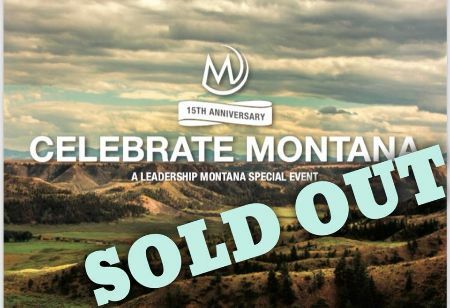 That’s where Leadership Montana comes in. Leadership takes practice. In Chance Barrett’s reflection below, he tells us how important practicing hard conv ersations has been for the Class of 2019 to fully immerse in our curriculum. We commit to the flagship class that their practice doesn’t end after graduation next month. Opportunities to continue this learning as alumni are right here and waiting. Together, we are all always learning. Leadership is inspired. 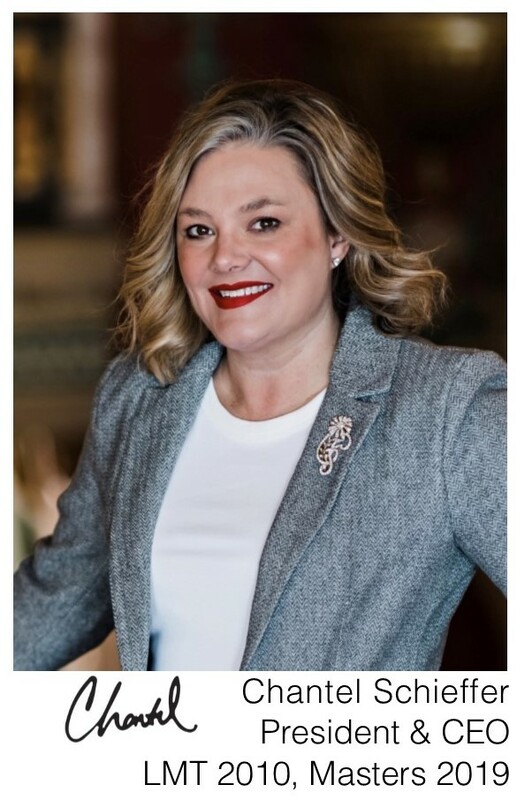 Kathie Bailey’s passion for growing leaders in Central Montana, motivated by her LMT experience and illustrated in the spotlight below, is proof positive that the often really hard work of developing leaders committed to building a better Montana makes impacts big and small across our great state. I highly encourage taking time this weekend to deeply read these three stories. They clearly show the heart of Leadership Montana. Growing up on a cattle operation outside of Lewistown, Kathie Bailey has always had a passion for Central Montana. Kathie did not proceed with the traditional route of attending college directly after high school. After getting married and with two boys in tow, Kathie went back to college and obtained a Bachelor’s Degree in Human Services and a Minor in Organizational Behavior from Montana State University- Billings. Later, she would go on to obtain a Master’s Degree from Montana State University in Adult and Higher Education. Kathie served as a Fergus and Gallatin County Extension Agent before serving as the Fergus County Commissioner for 1 term. In 2001, Kathie founded Snowy Mountain Development Corporation, which has given her a platform to stimulate growth and economic expansion throughout Central Montana. In addition to founding a successful business, Kathie worked 8 years in helping to plan, facilitate, and build the infrastructure for Colstrip, MT. As an alumna from the Leadership Montana Class of 2006, Kathie Bailey has put her skills to work in her community. 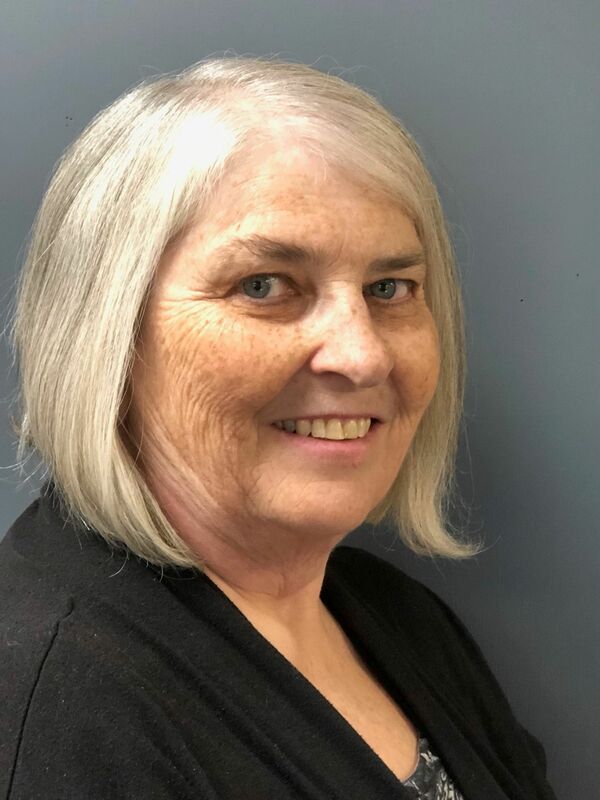 Leadership Montana has been instrumental in fostering connections for Kathie that have led to growth of initiatives in her community, including several leadership development programs for young and upcoming leaders. With the help of fellow alumni, Kathie implemented Leadership Central Montana to help those in central Montana enhance their leadership skills. As a result, young entrepreneurs have expanded on their Leadership Central Montana knowledge and developed several new businesses and projects within the community. From the success of Leadership Central Montana, and inspired by the statewide group Women Leading Montana, came the idea for a new more focused program. Now, in its second year, Women Lead Central Montana has become a highly successful and inspirational event for women in Central Montana. Kathie continues to focus her efforts and business on improving her part of Montana and utilizes the skills and networks that Leadership Montana has given her. When Kathie isn’t helping to develop young and aspiring leaders in Central Montana, she is spending time with her husband, two children, and three grandchildren. When asked what she appreciates about Montana, Kathie stated that, “Montana is one long street in a small town and that makes it special.” It can be argued that people like Kathie Bailey make Montana special. My leadership battery was hovering around empty. A series of tough issues at work had taken their toll and I was seriously contemplating my next career move. I had convinced myself it was time to move on; I was ineffective, old school, and the right thing to do was to cowboy up and pass the reigns to someone else more capable with new perspectives. Time to move to whatever was next - time for my encore. 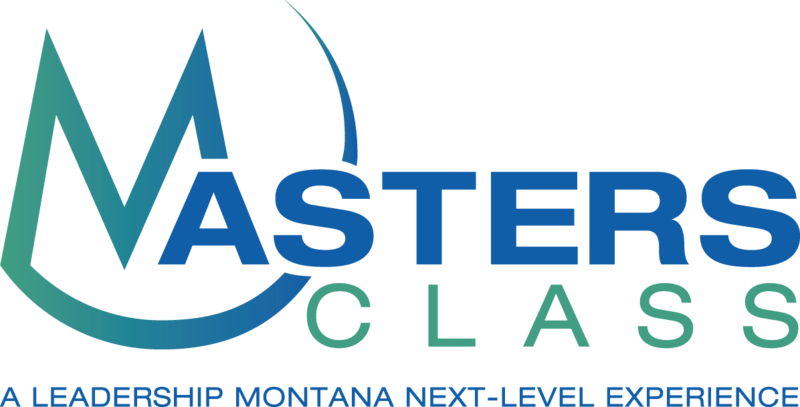 Enter Leadership Montana Masters Class and the magic that happens when leaders get together in a trusting environment to get real and be real with each other. The Lewistown session centered around Courageous Collaborations. As an added bonus, one of my favorite leaders, Pat Hughes, had come to town to be with us. I walked in not knowing anything about the topic but, hey, I liked the two words individually and together they sounded cool. As with all things Pat Hughes, we hit the ground sprinting and never stopped until it was time to pack and leave. I'm fairly certain it was two weeks of material packed into two days and after about 5 minutes my head was spinning. At its core, Courageous Collaboration is the art and science of bravely engaging others in an effort to improve outcomes and relationships by delving deeply and truthfully into issues. Simply put, as we decide what to invest our time, resources, and relational capital in, it’s often helpful to ask ourselves (and our teams) two main questions; Is the juice worth the squeeze, and, on a scale of 1 to 10, how is important is it that we (fill in the blank). In a rare moment of honest self-reflection I realized that so much of what was draining me were things that I myself had determined were important. I was investing heavily in things that, at the end of the day, didn't really matter much to anyone but me. To dramatically emphasize this point, Pat looked and pointed right at me and said “the people with the problem are the problem!” Okay, she didn’t point and she wasn’t looking at me but the issue became clear; I realized the way I was thinking was causing my problems. True collaboration is hard, and courageous collaboration is even harder, but the results are often remarkable. Fast forward a few weeks later and I’m still sifting through my notes, thoughts, and interactions with my classmates. As usually happens to me after a Leadership Montana experience, I find myself discovering new lessons at unexpected times. In this particular case, I’m reminded that we find what we look at and I was looking at difficult issues through the lens of loss; loss of energy, loss of relationships which ended in loss of the thing that kept me coming back to work all these years. I had lost perspective and was telling myself the wrong story. Fortunately, conversations with my classmates helped reset my thinking. The things that were draining me were actually some of my most rewarding work. When we are willing to be appropriately vulnerable with people we can trust, we open ourselves to a whole new way to engage and learn. Thanks to my time at the Masters Class, my battery is charging again and I’m looking at my work with a renewed anticipation instead of dread. No, it’s not always unicorns and rainbows, but I am once again looking for opportunities to connect and courageously collaborate with a group of really smart coworkers. I believe there is a golden nugget in most every circumstance and I am convinced now more than ever that a leader's job is to find that nugget and use it to inspire and recharge ourselves and those around us. And, that's the new story I'm telling myself. 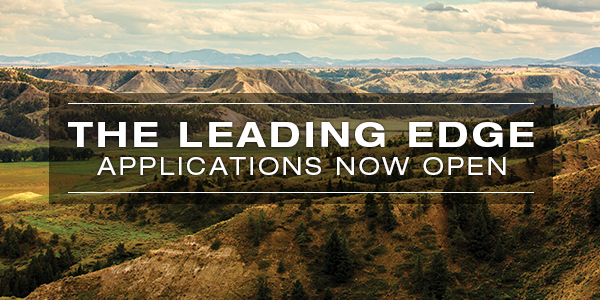 As anyone that has participated in Leadership Montana can tell you, the overall impact of the lessons you learn and the people you meet through this program are truly life changing. That is what we heard at our first session in Big Sky and we nodded along out of politeness because none of us could really articulate what we expected. Well we have come full circle and I believe every one of us in the class of 2019 would agree wholeheartedly with that statement now. On this trip to Eastern Montana we had the great opportunity to visit with leaders of the Assiniboine Sioux Rural Water Supply System that uses over 3,200 miles of pipeline to supply clean and reliable water to the Fort Peck Reservation. We then made way our way to the ever friendly town “in the middle of nowhere,” Glasgow. There we met tremendous people who are not only passionate about the lifestyle they have chosen but also committed to their community. Which has become a consistent theme throughout our travels across our amazing state. During all of our class sessions we have been learning this concept of Gracious Space and how to apply it to not only ourselves but the people around us so we can engage in meaningful and civil conversations. While in Glasgow we came full circle from learning and practicing this wonderful concept to having to engage it on a very triggering discussion regarding the non-profit organization, American Prairie Reserve. The discussion is multi-faceted and worth the time to research and learn about to say the least. But during these discussions we were able to witness the vulnerability of presenters and fellow classmates that are emotionally vested in this discussion and go from concept to implementation. It was difficult at times to consciously stay engaged and give others that triggered our emotions the gracious space to share their opinions. But our leaders and coaches of Leadership Montana did a great job helping us navigate this charged landscape and employ what we have learned. In the end we were given the time to process our thoughts and emotions to show compassion and restraint to listen and learn. 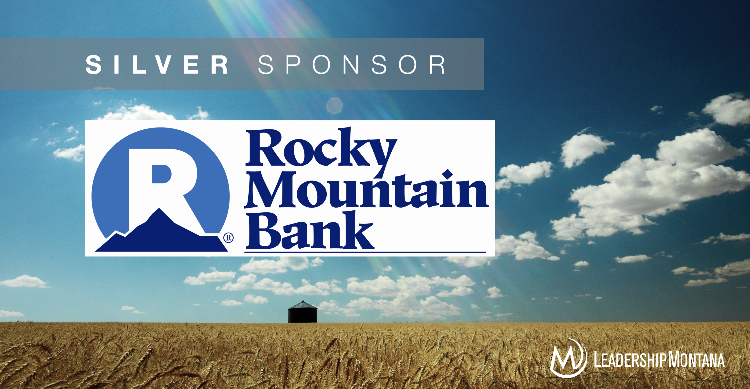 This month we showcase Silver Sponsor Rocky Mountain Bank. Our gratitude to Scott Sehnert (2016) and each of our RMB alumni for all that you do to help us build a better Montana! 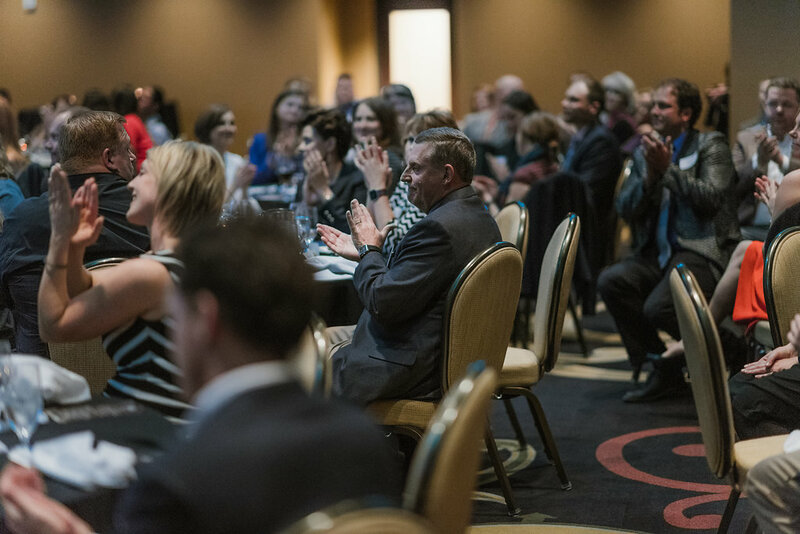 Leadership Montana’s strength is due to generous individuals, corporations, and foundations who believe in our mission of developing leaders committed to building a better Montana. These partners are deeply connected to our work and success. To celebrate our 15th anniversary, we invite you to become a monthly donor, helping to sustain us into the next 15 years. Monthly giving allows us to establish funding that we can count on each month while providing you an easy way to support our nonprofit. $15 a month goes a long way to helping sustain our work across Montana! 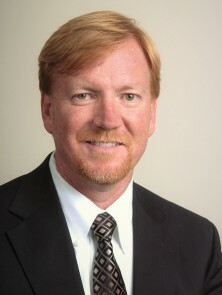 Yes, I'll be a monthly donor and help sustain Leadership Montana. 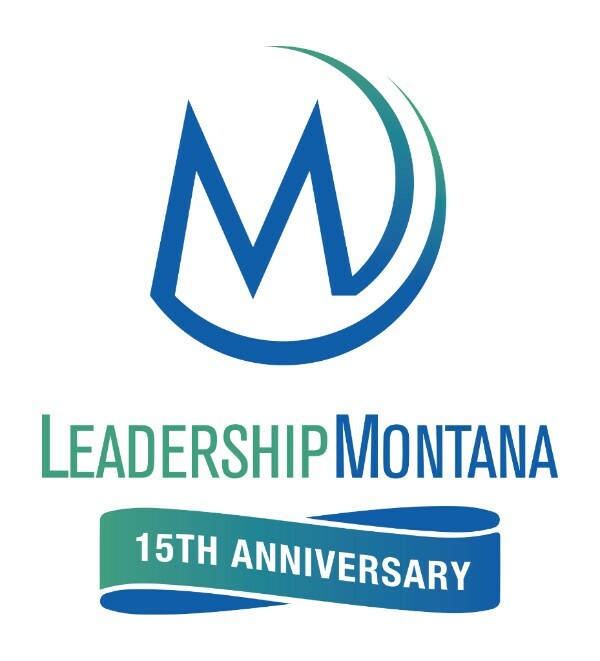 Leadership Montana is a non-profit collaboration of leaders from business, labor, healthcare, higher education, non-profits and government coming together to form a strong partnership for the betterment of Montana. Leadership Montana exists to develop leaders committed to building a better Montana through knowledge, collaboration and civility. 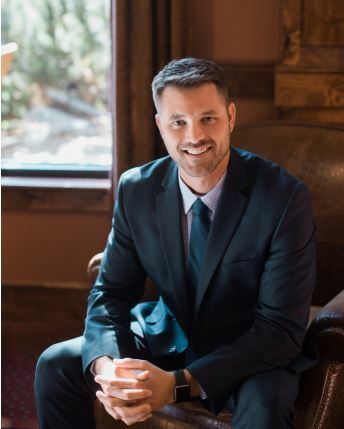 Copyright © 2019 Leadership Montana, All rights reserved.